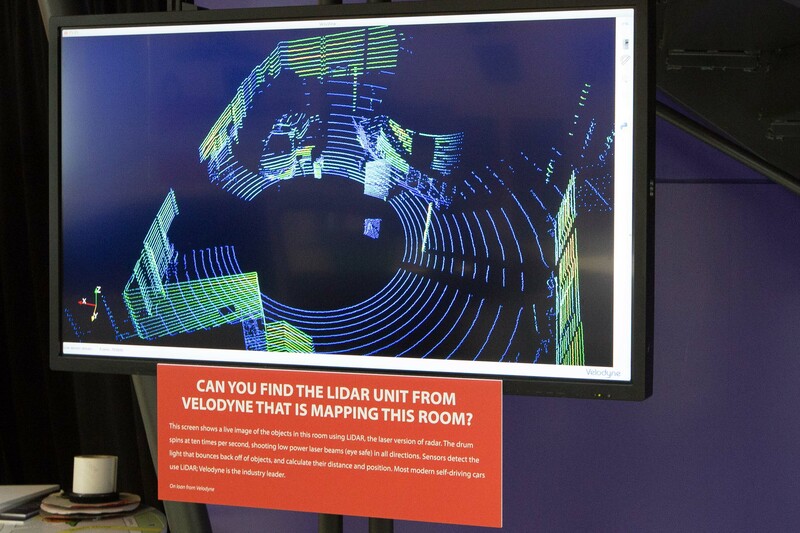 While museums typically look back, two institutions, in Chicago and Silicon Valley, are thinking as much about tomorrow as yesterday – and Velodyne LiDAR is an integral part of both. Robot Revolution, a national touring exhibit that premiered at the Museum of Science and Industry, Chicago (http://www.msichicago.org) on May 21, explores how robots, created by human ingenuity, will ultimately be companions and colleagues, changing how people play, live and work together. Some 2,000 miles away, “Where To? A History of Autonomous Vehicles” at Silicon Valley’s Computer History Museum will extend its run into a second year. 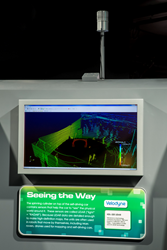 Both venues showcase Velodyne’s market-leading HDL-32E 3D LiDAR sensor, in UAV and autonomous driving applications, respectively. o Locomotion: Explore the varieties of ways that robots can move and how they can offer humans access to places we can’t venture ourselves. The exhibit explores the history of autonomous vehicles as portrayed in science fiction and popular culture. “Self-guiding vehicles go way back, from auto tillers on sailboats to the modern torpedo in the 1860s, and autopilots for planes before World War I,” said Marc Weber, Founder and Curator of the Museum’s Internet History Program. “One deceptively modest goal has stayed in the driveway since our grandparent’s youth and that’s the self-driving family car. 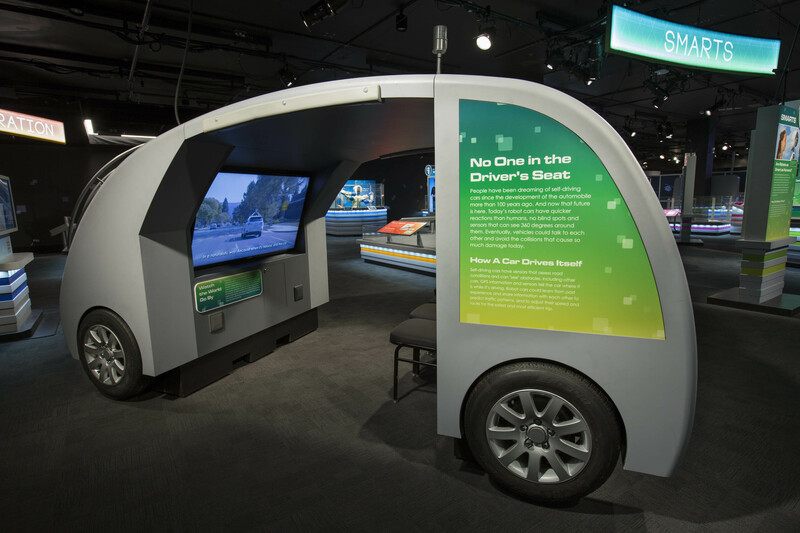 In this exhibit we're exploring the history of autonomous vehicles in general, and the elusive dream of a car that drives itself." The Museum of Science and Industry, Chicago (MSI), one of the largest science museums in the world, offers world-class and uniquely interactive experiences that inspire inventive genius and foster curiosity. From groundbreaking and award-winning exhibits that can’t be found anywhere else, to hands-on opportunities that make you the scientist—a visit to MSI is where fun and learning mix. Through its Center for the Advancement of Science Education (CASE), the Museum offers a variety of student, teacher and family programs that make a difference in communities and contribute to MSI’s larger vision: to inspire and motivate children to achieve their full potential in science, technology, medicine and engineering. MSI is also supported in part by the people of Chicago through the Chicago Park District. For more information, visit msichicago.org or call (773) 684-1414 or (800) GO-TO-MSI outside of the Chicago area. The Computer History Museum in Mountain View, Calif. is a nonprofit organization with a four decade history as the world’s leading institution exploring the history of computing and its ongoing impact on society. The Museum is dedicated to the preservation and celebration of computer history, and is home to the largest international collection of computing artifacts in the world, encompassing computer hardware, software, documentation, ephemera, photographs and moving images. The Museum brings computer history to life through large‐scale exhibits, an acclaimed speaker series, a dynamic website, docent‐led tours and an award‐winning education program. The Museum’s signature exhibition is “Revolution: The First 2000 Years of Computing,” described by USA Today as “the Valley’s answer to the Smithsonian.” Other current exhibits include “Charles Babbage's Difference Engine No. 2,” “IBM 1401 and PDP‐1 Demo Labs”, and “Where To? 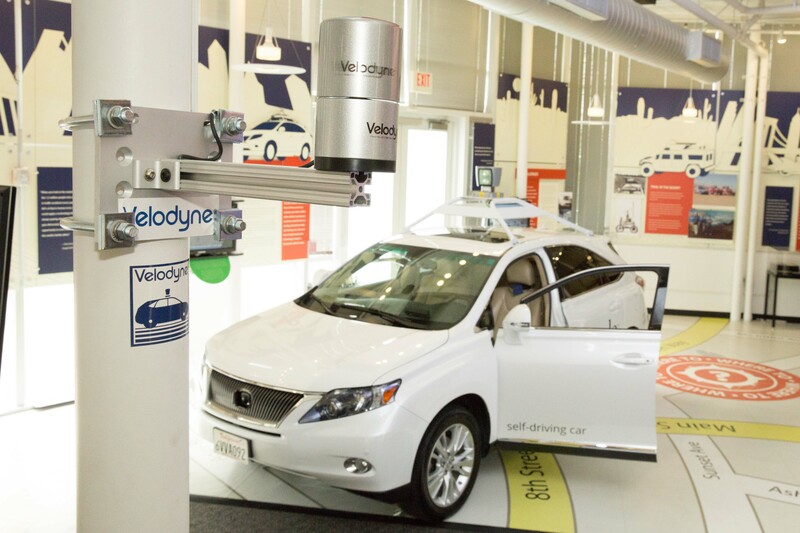 The History of Autonomous Vehicles.” The Museum is located at 1401 N. Shoreline Blvd. in Mountain View. For more information and updates, call (650) 810‐1059, visit http://www.computerhistory.org, check us out on Facebook, follow @computerhistory on Twitter and the Museum blog @chm.